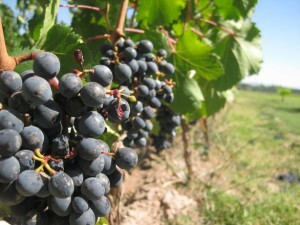 Now fifth in the world for wine production, Argentina is catching up in the quality wine sector. A long time wine producer, Argentina used to make wine in order to drink it, not export it. And so the wines produced were quaffable and rustic and made for the local’s everyday dinner. Yet it’s hard not to get caught up in the wine market of the world and some winemakers decided it was time for Argentina to show their stuff. Better winemaking technology was brought in, new winemaking techniques were learned and good viticulture practices flourished. The result? World-class wines with unique style and variety. 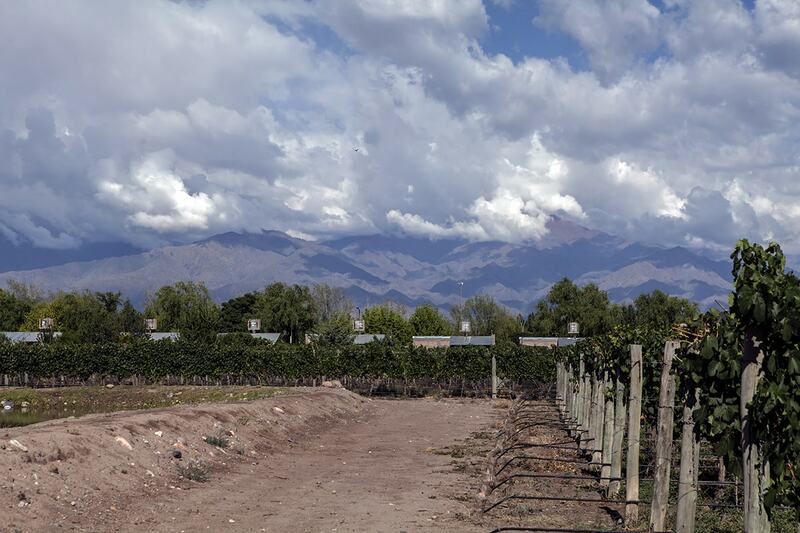 Unlike its Chilean neighbor, Argentina’s vineyards are spread out around the country. The best known region is Mendoza, almost parallel to Santiago to the west. 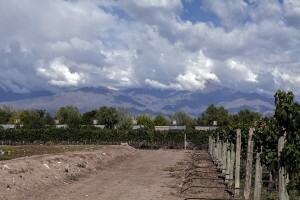 Mendoza contains the sub-regions of Maipu (pronounced MY-pu) and San Rafael. Grape-wise, the most important white is Chardonnay, making wine similar to California’s style on the variety. Another fun white grape to try is Torrontes. Almost only grown in Argentina, Torrontes makes wines that are crisp, aromatic and easy-drinking. Some of the best versions of this wine come from the northern region of Salta, with very high altitude vineyards. As for the reds, Cabernet Sauvignon is the main grape for many wines leaving the country, but Malbec, the grape Argentinians like to call their own, makes very distinctive wines that are structured, dense and velvety. Many more varieties happily grow in the country, but for export, and consistent quality, these are the primary grapes.